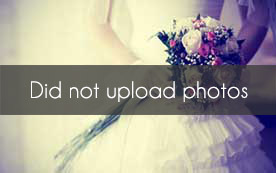 Select photos you like; we'll recommend wedding stationery services in Orlando Try now! 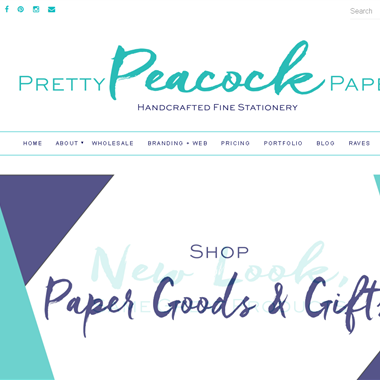 "Natalie Henry-Charles is the owner of Orlando based custom luxury stationery company, Pretty Peacock Paperie. 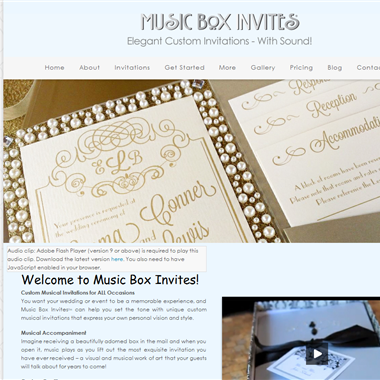 With Client’s from California to New York Natalie’s coveted custom invitations are sought after nationwide. 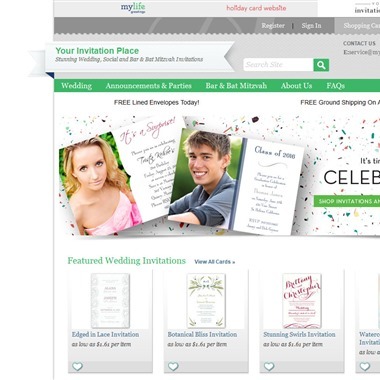 With both ready-made invitations and custom wedding and event invitations, Natalie offers something for everyone." 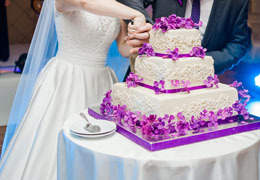 "The wedding collection is a trend pics from brides. 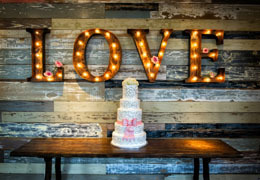 we love to help brides create something unique for their special day. 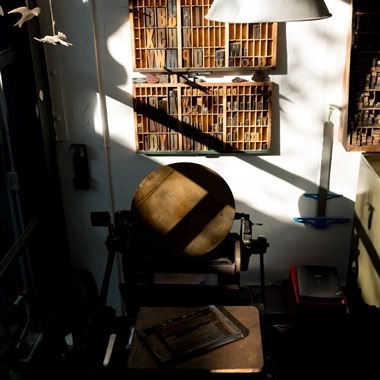 these inspirations will get your creative juices going to imagine the possibilities." 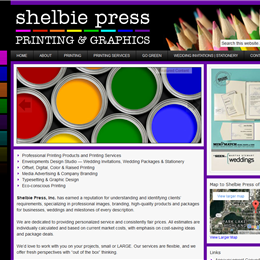 Miami Shop and On-Line custom designers of all event invitations, event branding and more. 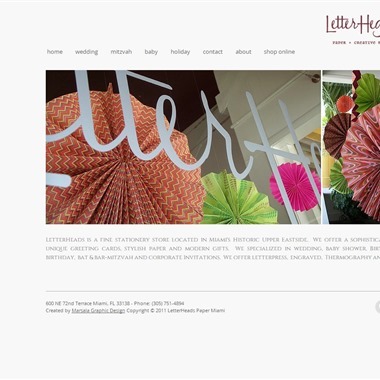 LetterHeads is a fine stationery store located in Miami's Historic Upper Eastside. 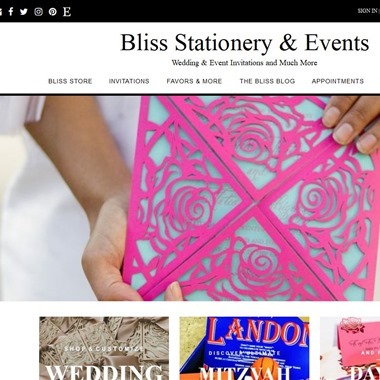 We offer a sophisticated collection of unique greeting cards, stylish paper and modern gifts. 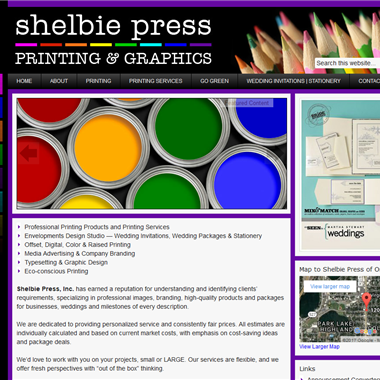 We specialized in wedding, baby shower, Birth Announcements, birthday, bat & bar-mitzvah and corporate Invitations. 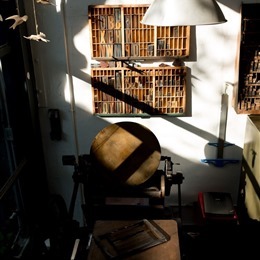 We offer letterpress, engraved, Thermography and Digital Printing.